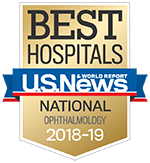 Whether you're coming to the Kellogg Eye Center for the first time or the tenth, here are some useful resources for our patients and visitors to help you know what to expect during your visit. If you have further questions, please contact the Kellogg Eye Center via email at contactkellogg@umich.edu or call 734-763-8122. Please note: We check our email during regular business hours. If this is an emergency, please call 911. If you would like to make an appointment, please visit our Make an Appointment page.